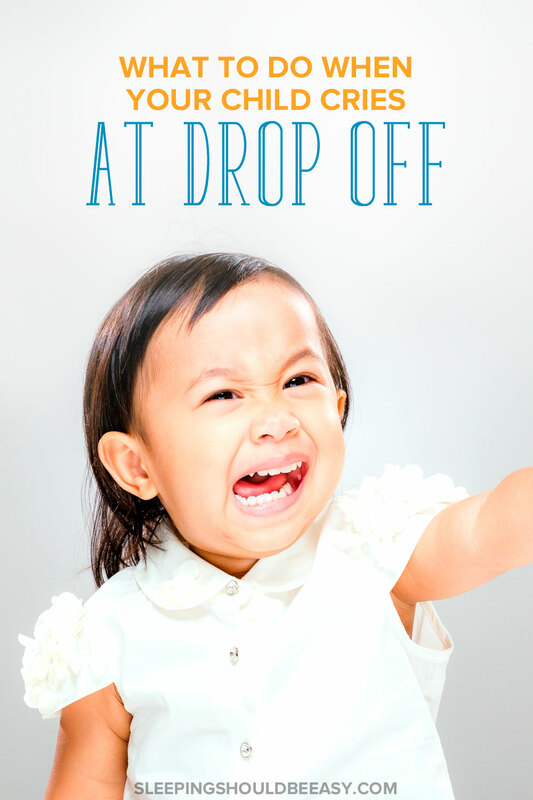 Do you feel guilty or frustrated when your child cries at school drop off? Learn how to cope with school drop off anxiety and make your mornings smoother. I couldn’t get the image out of my head: my son crying on his first day of preschool, trying to wrestle himself out of his teacher’s arms as I said goodbye. I reminded myself that this was to be expected, that adjusting to anything takes time. But as I stepped into my car, the mom guilt came into full force. I felt so bad thinking about my son upset, and even questioned whether preschool was the right decision. It didn’t help that I saw only a slight improvement over the next several days. Even getting out of the house became a challenge, as my son began to resist leaving, knowing he’d be at school that day. I found myself feeling stressed and harried, trying to juggle his emotional needs with getting to school and work on time. The guilt turned into impatience and frustration, especially when the crying didn’t let up the next day or the several days after. Drop offs officially became the hardest part of the day. Maybe you can relate. Maybe you also feel guilty when your child cries at school drop off, the sound of her screaming and yelling gnawing at your head. Perhaps drop offs are so challenging that concentrating at work is all but impossible. Nothing you’ve tried so far has worked. You’re likely feeling a whole range of emotions, from guilt to anger to complete overwhelm about how to make drop offs much smoother. Not exactly how you want to start your mornings. Trust me, I hear you. And after digging in further on how I could help my son, I was able to apply a few techniques and saw amazing results, many almost immediately. No more rushing out the door because my son was so adamant about not leaving. No more clamoring out of the teacher’s arms, or tears welling up the minute he knew I was leaving. Drop offs instead became a seamless, smooth transition to our day. With a child resisting school even before you leave the house, you might find yourself inadvertently talking about school in a bad way. A good rule of thumb is to avoid making school an issue to argue about. Instead, keep it positive or at least matter-of-fact. Explain that school is something we’ve all experienced, or highlight the fun activities she gets to do there that she doesn’t anywhere else. For instance, remind her of the playground she gets to visit several times a day, the many books they read, and the songs and games they play. Bonus tip: Help make your child’s experience at school even more positive with the lunches you pack! Include your child’s favorite meals, snacks, or even special treats for lunch. You can also print a family photo and slip it into her lunch bag as a special surprise. Highlight the fun activities she gets to do there that she doesn’t anywhere else. Allow her to express feelings she might have. Bring them up often so she can better identify feelings like scared, angry, hurt and worried. And remind your child that it’s okay to miss you. Let her know you miss her as well and look forward to picking her up from school each day. At the same time, discuss positive emotions she may have had during the school day as well. Yes, your child cried, but maybe she found new activities she liked or played with a new friend. Discussing emotions—whether happy or difficult—places labels on feelings she’s starting to grasp. Making that leap into the unfamiliar is difficult for anyone, more so with kids. One way to ease the transition is to give your child a special item she can keep during school. Perhaps it’s her favorite bracelet, one she can hold onto when she feels scared or nervous. Or maybe it’s her lovey, tucked safely in her backpack, waiting for her at the end of the day. It can even be a special note from you that she can keep in her pocket. Having a special item, either nearby in her cubby or in her pocket, will help bring a bit of familiarity into what feels like a new and foreign place. Bonus tip: Give your child one of your items. From a hair clip to an old watch, let her have one of your items during school, with the promise of returning it at pick up. This not only gives her a piece of you, but reassures her you’ll be reunited soon enough. Imagine arriving at a party and everyone was already there. This might be fine if the party included familiar friends and family. But what if you didn’t know anyone? You’d likely feel overwhelmed, nervous, and ready to go home. The same is true for your child and drop offs. Dropping my son off during the school’s busy window meant hearing the bustle of other children settling in. The teacher also had more students and parents to contend with. But by bringing him to school even a few minutes earlier allowed him to settle in long before the chaos began. He also had his teacher’s attention before most of the children arrived, giving him a chance to feel more comfortable. If you sense your child is overwhelmed with the morning bustle, try dropping her off a few minutes earlier. Avoid the rush of children, and instead give her a chance to settle in, chat with her teacher, and adjust before everyone else arrives. Bonus tip: Getting to school earlier will be much easier if you wake up earlier as well. It’s never easy trying to get to school and work on top when you’re rushing out the house. Give yourself plenty of time to accommodate an earlier drop off. Better yet, have everything already prepared the night before so you avoid last-minute rushing. Pack things like your lunches and work bags, and have clothes ready to go. Nothing can feel more awkward than standing in the middle of a room with no idea what to do next. But sometimes, that’s exactly what we do with our kids during drop off. And if your child is unfamiliar with the school’s routine, she might feel extra anxious not knowing what to do. For the first few days, guide your child to an activity she can do, especially one she enjoys. Maybe she likes to play with puzzles or stack blocks. My son seemed curious about water-pouring activities and getting his hands wet. By guiding your child to a favorite task, she’s able to focus on positive activities instead of dwelling on your impending departure. She’s also able to get excited about her day and feel curious about what’s to come. Rather than focusing on being apart from you, she can look forward to the fun she’ll have the rest of the day. Bonus tip: Ask the teachers what activity your child liked best. That way, you can not only guide her to that activity, you can also get her excited about it when leaving the house. Once you’ve settled your child into her first activity, it’s tempting to make a quick getaway and leave without saying goodbye. After all, she seems distracted enough, maybe even enjoying her activity—why tarnish her mood by drawing more tears? As easy as it is to dash out the door and avoid seeing her tears, don’t. Your child will struggle even more at the next drop off. Rather than focusing on the activity or settling in, she’ll look around and wonder whether you’re going to leave without telling her again. Plus, she might spend the rest of the day anxious of where you had gone and why you didn’t say goodbye. Just because she doesn’t cry, doesn’t mean she isn’t harboring hurt, fear and anger throughout the day. Bonus tip: Start a fun goodbye tradition you can do with your child. 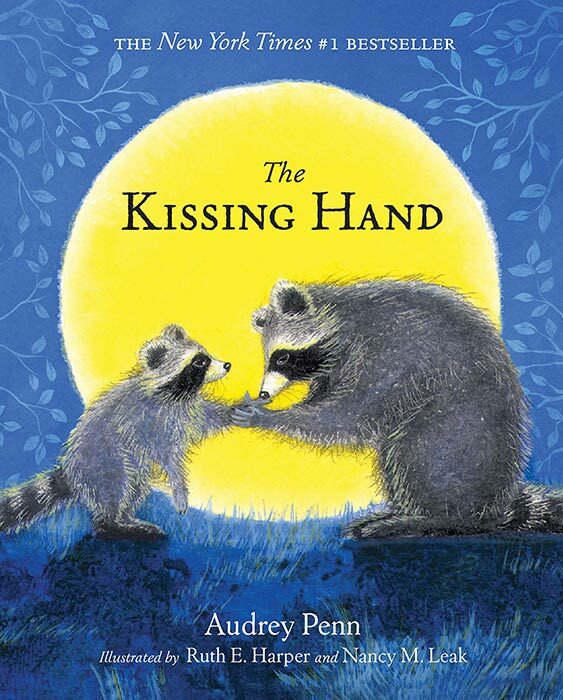 Maybe it’s saying the same phrase every day, waving goodbye at the window, or kissing hands like the characters do in The Kissing Hand. As easy as it is to dash out the door and avoid seeing her tears, don’t. Your child will struggle even more at the next drop off. What’s your first reaction when your child cries at school drop off? Do you run to comfort her until she quiets down and feels better? Comforting her works when you’re spending the day together, but drop offs are different—you can’t be together. Lingering until your child stops crying sends her mixed signals. She’s told she’s in safe hands, but you’re also comforting her as if she’s in an unpleasant situation. No one else can comfort your child better than you, but in this case, allow the teachers and child care providers to assume that role. Keep drop offs minimal as well. Attend to the basics, then explain it’s time for you to go. When your child begins to cry, reassure her she’ll be okay. Then, here’s the important part: don’t freak out. Seeing you uncomfortable makes her worry even more. She needs to know that you feel confident about her staying at school. So don’t come back for second snuggles or linger by the door, waving goodbye for five minutes. Don’t cry alongside her as if there’s no way she’ll enjoy herself without you. Bonus tip: Be conscious of your facial expressions. You might tell your child, “You’ll be fine!” but if your face says otherwise, she won’t feel any more reassured. Soften your face, give a genuine smile, and relax—she’ll understand your face more than any words you say. It’s easy to feel guilty after drop offs, especially when the last thing you saw was your child in tears. But don’t let the last scene color the rest of your day. Truth is, she probably didn’t cry the rest of the day. In fact, she likely stopped crying a few minutes after you left (and the briefer and more pleasant your goodbye, the better!). At pick up time, get a report of how the rest of the day went and how your child coped. If you’re truly concerned, give the staff a call once you arrive at work. Ask how long it took before she finally calmed down, and how the rest of her day went. You may find that your child ended up enjoying the rest of her day, or that she played well with others at circle time. This is true not just for drop offs but when leaving kids with babysitters. My husband and I will hear them crying as we leave for a date night only to to learn they stopped after five minutes and had a blast the rest of the evening. 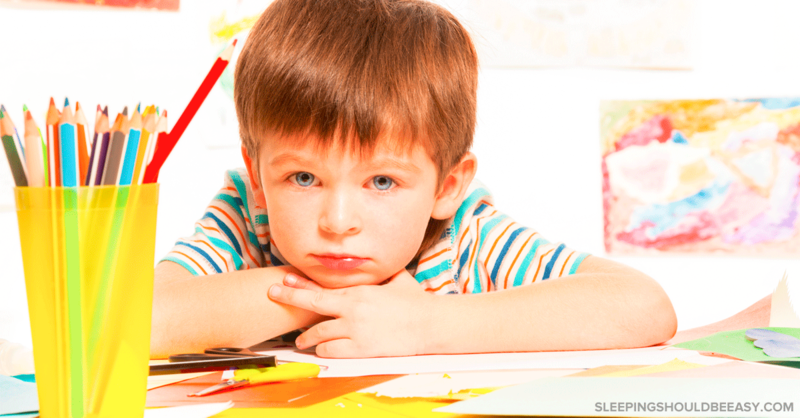 Bonus tip: Ask your child care provider what finally helped your child calm down. See if they can repeat it the next few days. As guilty as I felt when my kids were sad or cried when I left, I reminded myself that this is normal. We’re their parents, their world. A healthy attachment to her parents is usually the reason your child cries at school drop off. Don’t feel like you didn’t do a good job because she cries while others don’t seem to. Instead, revel in the strong parent child connection you’ve built. It’ll get better. Both of you will find a rhythm to your mornings. She’ll learn to love and trust her caregivers. You’ll feel more confident about letting go, and separating also gets better with age. And listen to your gut. If nothing seems to work or your caregiver reported she cries the entire day, find solutions. Maybe that’s sitting in a few hours of the day to observe, or finding a facility or a new caregiver that better fits your child’s temperament. You might also consider alternatives or talk with your child’s pediatrician. It helps to pursue other options until you and your child are comfortable. More than likely though, time makes these difficult days pass. I remind myself that we’ve grown accustomed to every old routine—from our jobs to our homes—that at one point had felt like a new experience. Morning drop offs can feel overwhelming, both for parents and kids, but we can take steps to ease the transition. Keep drop offs positive and brief. 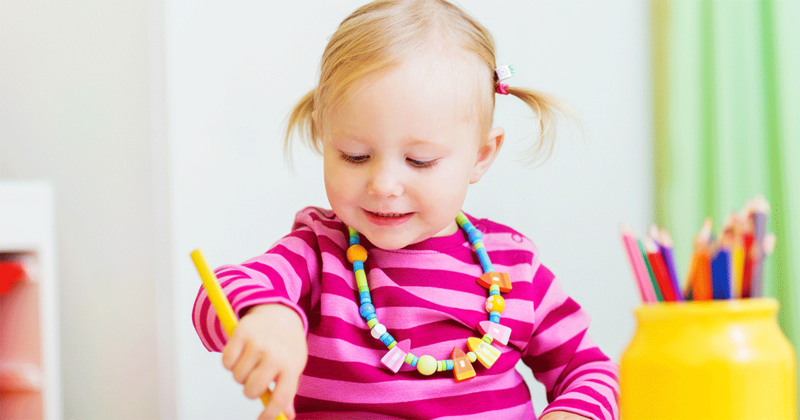 Work with your child care provider to see how she adjusted the rest of the day. Discuss emotions with her in the safety of your home, and remind yourself that separation anxiety is normal and healthy. 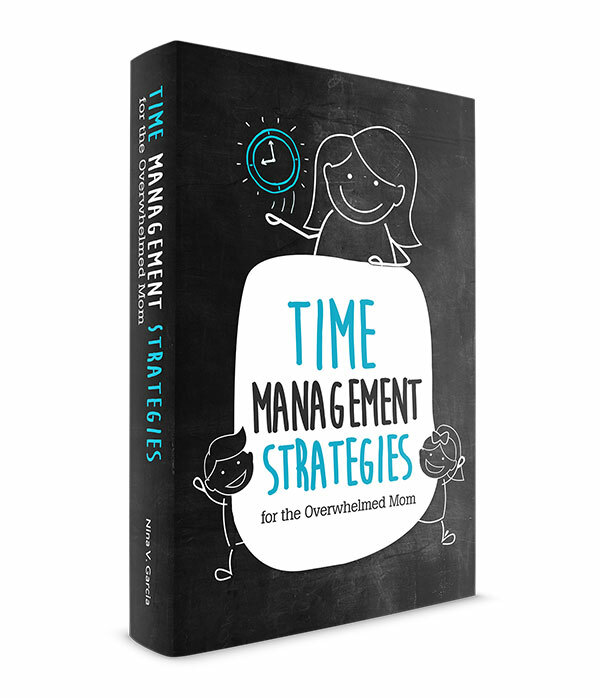 In time, you’ll both adjust to your new normal, one with less tears and more confidence. Liked what you read and interested in more? 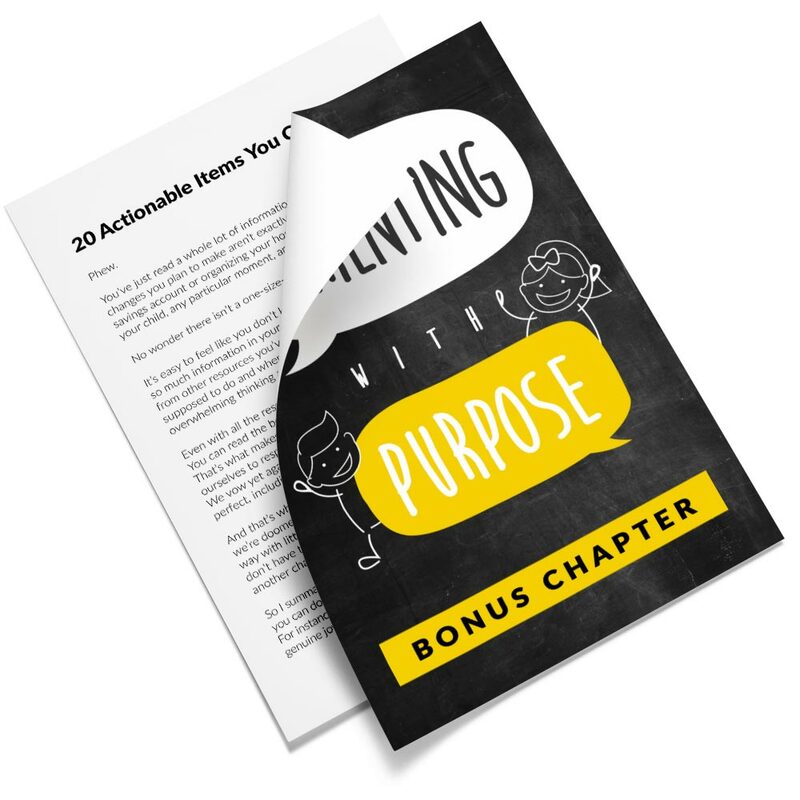 Grab a copy of my ebook, Parenting with Purpose! 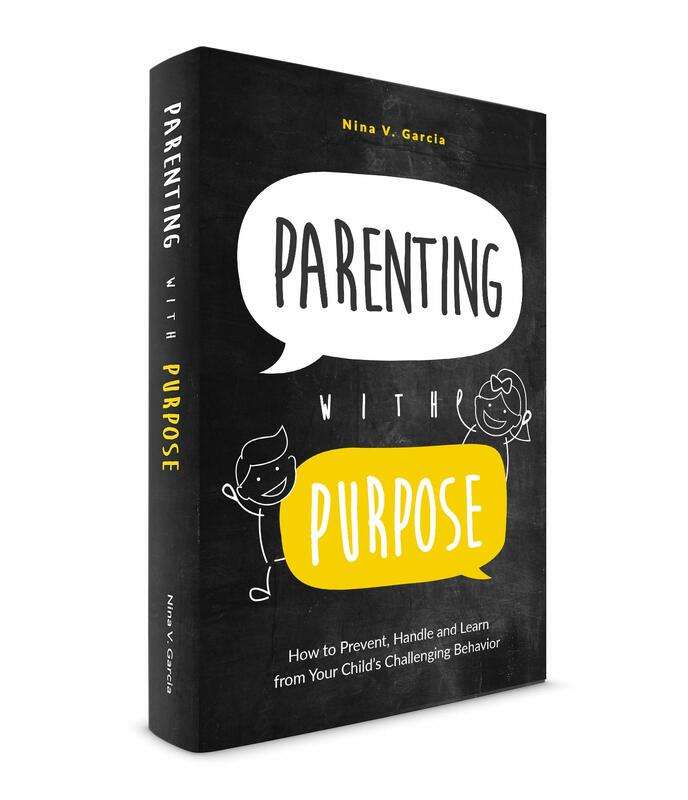 Discover how to prevent needless outbursts, handle meltdowns as they happen, and most importantly, learn from your child’s challenging behavior. Did you like this article about what to do when your child cries at school drop off? Share it on Facebook and Pinterest! This is great advice. I always had to bring our oldest boy to school so he was one of the first 2 or 3 there. He would go into total over-load if there were more than that in the room. I always started our day early – the teachers were also “fresh” and in a good mood. When he was little I would hand him over to them – so I didn’t leave him all alone on the floor. They would then talk to him for a few minutes and get him engaged in play after I had left. You are right – a bad drop off will leave you stressed for the rest of the day. Good point about the teachers also being ‘fresh’ and able to focus their attention on the first few kids there. I love this post. It reminds me of when I dropped my twin girls off at pre-k. One would attach herself firmly to my legs and bawl her eyes out. The other one would run away and REFUSE to hug me (?!) At 9 my girls are still a bit like this today. The most important thing I’ve learned through this process is that it’s more about who THEY are and less about me being a “good” or “bad” mommy. Why do I already think my twins will react the same way Ali? lol My twins are as opposite as can be, and I can see them doing just that at preschool. Oh this is a tough one. I remember dropping my son off at school last year (before I started homeschool), and there was a child screaming “please don’t leave me here!” it broke my heart. I have had to deal with that before too, but because my son’s allergy medicine was causing him to be anxious- seeing that put me right back to that day. Thanks for sharing your wonderful tips with us at Mommy Monday! It’s heartbreaking to see that! Thankfully it’s usually just those first few days. And so sorry to hear about your son’s allergy medicine side effects! We have a mom’s morning out program for my younger two. They say it helps to tell your child you’ll be back after lunch, and have your child wave out the window even if (especially if) he’s upset. We might think that seeing that we’re gone would be upsetting, but what actually happens is our kids focus their energy on something much more fun. Oh interesting Courtney! Especially about the being back after lunch. Gives them a good time frame. When we leave the house, the twins wave goodbye from the window. I think it helps them too. great post and awesome tips. Always so tough on kids and parents. AJ was in daycare since he was 3 months old and was so used to it that when kindergarten started he was fine….but he’s also very social and extroverted. The only tough time he had was this morning when the bus picked him up for summer school. He’ll only be there for three hours for three days a week, but he was a bit nervous and of course I feel guilty. I imagine kids who have been in a social setting will probably adjust easier than those who were with an adult! With Scarlet, it only happened once.. at a summer camp. She was crying and calling out for me and I had to leave. I sobbed in the car. I was told by friends that she handled it all in stride, but it still haunts me! I was so nervous about Des starting daycare last year but it went so well. There were tears at dropoff but I was gentle and firm and the teacher would text me photos only ten minutes later of his magical recovery. It’s really hard, though. All of it. Good tips. I only followed one simple rule with all my three kids. I basically hand them off to the care taker say good bye and leave. Dont even give them time to change their mind. That has worked real well for me too Maria. Lingering made things worse, or making a big fuss about it. Thanks for the tips! My son will be starting preschool soon. I’ve been taking him to Sunday school over the summer so he gets used to me leaving him. That should be a good intro into the idea of school then! Those initial weeks/days of first drop-offs are seriously the hardest. My crying only lasted a few days with my second, but with my first, they lasted weeks. Same thing with my kids – older one took longer to acclimate but second one took only a few days. I like your tips to keep the drop off short. That’s what’s worked best for me. Oh, and distraction from the teacher. Aw Lisa, that must’ve been so hard. Short drop offs have definitely helped. And trusting your child care providers and teachers. Separation anxiety is so tough to see in little kids. It definitely does get better, though. Thankfully T never had much of an issue with it, but L sometimes has a hard time separating in the mornings (not necessarily crying, but just asking me to stay). Lately I’ve asked her if she’ll help hold the door open for me, which seems to work. She likes to feel like she’s helping out. I also talk excitedly about the activities that are already going on; though that tactic is touch and go. Thanks for the tips, I’ll have to try them out soon! Oh I gotta try that door technique. My twins still get sad when we leave. Just tonight, I took my eldest to swim class and one of the twins was hysterical for a while. It took us a while to make the drop off to preschool tear-free. I followed most of what you shared, and they’re good tips! The only thing I didn’t do was leave quickly, but only for the first few days. I gradually shortened that time. With our kiddos, we had a day or two where we sat with them to help them adjust. If the school didn’t do that, we probably would’ve stayed a bit too just to help them adjust. My youngest hates being dropped off to a full room. If I can get him there before the rest of the kids arrive, he’s all happy smiles; but if we’re running late and there are kids already there, he holds back. Even when his friends all greet him happily at the door. He just needs to walk in to a quiet room and adjust. So it’s not just my kiddo! 🙂 It can definitely get overwhelming when there are a ton of kids. Getting there early helped a lot. This is such a tough one. One of my girls cried a lot. I remember a church nursery care provider complaining under her breath about kids who didn’t go to daycare being so difficult, which really didn’t make me feel very comfortable! There can be so many reasons why children struggle, but I think if the child stops crying after you leave, then you just have to do as you say and grin and bear it! Aw that must’ve been difficult to hear Seana! Hopefully she was just having a bad day. Every child reacts differently, and I’m willing to bet all will nearly cry at some point, even if not at drop off. As an update, my toddler twins ended up not crying at drop off, but they did cry after my husband had left. I am having such a hard time with this right now. My 4.5 year old has been in daycare/preschool since he was 6 months old and never had separation anxiety issues before. Now he has just started a new school and we have only had 2 tear free days out of 2 weeks. I don’t know what to do, I have tried most of the tips here and I end up crying just as much as him when I walk out the door. It’s the absolute worst feeling. So sorry to hear that Kelly! Can his teachers give you an update on how he did the rest of the day? Was he miserable the whole day or did he eventually have fun? He must be adjusting to the newness of the school. My toddler boys are now in a new school this week too, having had a nanny. At home, I’ve been trying to keep things really simple and regular and spending tons of time with the. I think the adjustment and realizing that this is permanent is something they’re still getting used to. I hope in your son’s case that next week will be better! As my daughter starts at nursery I am going through a tricky drop off stage. It is so emotional – for both of us! The stress of being late for work doesn’t help… Thank you for the excellent post and the words of encouragement! i have a 9 year old that changes schools and is finding the transition a little hard as in the mornings he is emotional but when i ask him he always has positive things to say about the school and friends and what they did and so on. It sounds like he’s adjusting, and I’d say it’s pretty common for him to feel apprehensive in the morning but fine at the end of the day. I’m sure in a few days’ or weeks’ time, he’ll welcome school in the mornings as well. Keep communication open, let him feel sad (don’t force him not to be sad), and stay positive and confident about school. Hello, we have had a problem with our 2 year old for 6 months now. He will start balling when we start walking in to daycare. We do all of the tips above but it continues to happen. He goes to daycare 3 days a week and grandmas 2 days a week. Could it be as simple as him preferring grandma over daycare? I appreciate the advice and great article. Hi Dan! I’m sorry you’re still going through this despite trying the tips. It truly can be all about preferring grandma, or even staying at home, than daycare. He could be overwhelmed with all the activities at daycare, or having to “share” adult attention with other children. How is his temperament in general? Do you find that he’s introverted or enjoys quiet time as opposed to group activities or boisterous events? If so, perhaps at daycare, you could ask the staff to dedicate quiet time with him, letting him sit by the teacher’s side at the table, pairing him with just one or two children, to see if that can help him feel less overwhelmed. That’s really very healpful, as I’m reading about myself with my little one dropping off at school and I loved the one about bribing thought this is a rewarding which is totally different. I will change that immediately. interested more articles on kids and parenting at this age. I’m glad you found it helpful, Maghani! The first day of Grade 1 was extremely hard. My son was dreading it from the minute we were leaving the house. While we were standing at the school waiting for the teachers to call out the names of the students in their classes, his tension was building. By the time it was time for him to go in, he was sobbing. I was feeling so guilty for leaving him and I felt like the worst mom in the world. His day did get better and his teacher posted a photo of him smiling, but I was still feeling like I had done something wrong by not staying to comfort him more. Thank you everyone for letting me see I’m not the only one who has left a crying child behind at school. Aw big hugs, Amanda! It’s hard, for sure—my first grader also cried. You are definitely not the worst mom for leaving. In fact, staying and comforting him beyond a reasonable time would’ve only confirmed his suspicions that he’s not in a safe or good place. Like you said, his day got better, and that’s so awesome his teacher posted a picture of him! You did the right thing by leaving in a calm and confident manner. I’m so glad you found the post helpful, Amanda! You got this! If you want even more motivational articles, definitely join my newsletter right here (I write stuff I don’t post on the blog). I will try it from tomorrow morning – especially the early drop off. That way all the crying babies in the nearby class will not be there and she will have a few minutes with the teacher alone to build a bond. I had a few rough mornings with the drop offs. I feel super overwelmed today. It’s just a blessing that my son handles his drop off so well. My daughter is turning 4 and my son 6. Hi Carlien! I’m glad you found the article useful. Yes, going early will help her connect with her teacher, AND the sound of the crying babies won’t feel so startling. Hopefully that will help ease your mornings—I know how rough and overwhelming those can sometimes get. Let me know how it goes! Going through this for the first time with my son and feeling SO guilty (mommy don’t leave me! )I really want to acknowledge his feelings without letting him manipulate the situation & need him to know that school is something that has to happen. I will definitely try taking him to school earlier and giving him something familiar to keep with him there. Thanks again for taking the time to write – HUGE help! Awesome, glad to hear the article was helpful, Roxi! Yes, a lot of their anxiety and behavior has more to do with how we behave (if we’re overly dramatic, make a big fuss, get angry, etc.) than their own fears about school itself. Especially since at school pick up he’s totally fine, which is a great sign. Hopefully talking him earlier and giving him a familiar item will help—definitely keep me posted on how it goes!